Flax seed did not make it to the mainstream market by chance or some kind of accident. These small, flat, bronze-looking seeds are loaded with lots of nutritional values, and can be much more versatile than you think. It is now time to think outside your dining box and learn ten new tips on how to eat flax seeds daily. Start the day with one glass of coffee blended with powdery flax seeds. You can make baked flax seeds part of your morning cereal with some walnuts, almonds and raisins. Grind the flax seeds, then mix with some mayonnaise. You can use them as spreads for making tasty sandwiches. Mix your blended flax seeds in a little yoghurt and prepare an appetizing yoghurt smoothie. Bake your flax seeds bread and eat it at any time you choose during the day. You can go with the recipe for sesame seeds breads. Simply use the flax seeds to replace the sesame seeds to give your dishes a special flavor. You can make flax seeds part of your other baked delicacies such as cookies, cakes and muffins. Sprinkle your flax seeds powder on your fresh French toasts and pancakes. Add some toasted flax seeds to your soups, salads, and sandwiches for a more pleasant taste. These seeds are quite good in pasta dishes You may grind them into powdery form and have them sprinkled them on pastas with oregano and/or basil. As a substitute for egg-You can also mix your flax seeds with water and use them as a vegan egg alternative when baking. Coat vegetables or meat in some flax seed crusts. Add some flax seeds to your normal crusting mix with some other matching spices, to give your favorite vegetable or meat better tastes and aroma. You can add this to your starters, like well fried vegetables blended with flax seeds, and served in combination with some delicious dips. Make flax seed a part of your meatballs, casseroles and meatloaf. If you must disguise your flax seed to trick your loved ones into eating it without knowing what it is, add them to a complex dish like the ones mentioned above. This will give them the entire benefits of flax seeds with them noticing the seeds. If you are one of those who believe they can never use flax seeds in their puddings, think again. One great tip on how to eat flax seeds is to add some tablespoons of blended flax seed to your apple crumbles. Flax seeds make your apple crumbles crunchier and more delicious. Sprinkle some baked flax seeds on your ice-cream with some chocolate paste. These flax seeds make a very delicious dish when combined with Sundae(ice cream dessert). Make them a part of your granola bars prepared at home and eat them as snacks anytime and anywhere. Add your flax seed to your peanut butter to make the flavor better. You can prepare a very delicious peanut butter in your home and add some seeds with ground cinnamon. The difference it will make to your peanut butter will amaze you. Another great tip you must always try when it comes to how to eat flax seeds is to incorporate flax seeds into your family delicacies. Mix some flax seeds with egg and flour and cod strips or coat chicken to prepare sweet goujons during dinner times. You can equally add it to a sponge mixture for a healthy and tasty dessert. Top it with your custom-made flax seed laced ice-cream. Your children won't be able to resist this dish any day. Flax seeds are known for their great protein content and their ability to enhance the growth or both muscles and bones in children. First, it is important to mention the great fiber content of flax seeds. Most American dishes do not contain adequate amount of fiber. 1 tablespoon of flax seeds is known to contain about 8g of fiber. This helps the bowel movements. Due to the whole fiber, you can always start low with about 1/2 teaspoon and increase the quantity with time. You may develop bloating if you do not start small. Secondly, flax seed contains omega-3. Again, many Americans do not get enough omega-3 fatty acids. These are known as essential fatty acids because they must be taken since the human body cannot make them. These fatty acids play major roles controlling inflammation in the body. Flax seeds are known to contain the shorter omega-3 chain known as alpha-linolenic acid. This means it can't be used as a substitute for the omega-3 contained in fish oils, which are known for their docosahexaenoic acid and ecosapentaenoic acid. 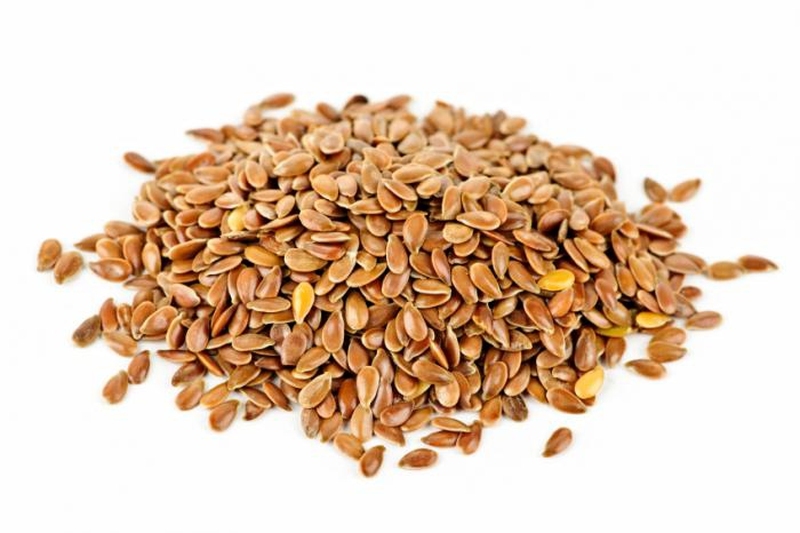 Third, flax seeds contain lignans, which are known to reduce women's risk of developing breast cancers and men's risks of developing prostate cancers. This lignans reduce your body's ability to metabolize estrogen into safer structures. Flax has also been found to reduce cases of hot flashes in women who have reached menopause. To gain the entire benefits, a daily dose of 2 tbsp is required. Flax is also known for its ability to normalize women's monthly cycles by regulating the luteal phase.